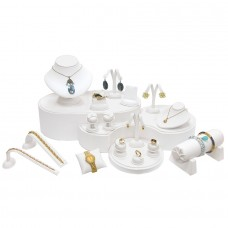 Jewelry displays play a lot of role for a jewelry shop to attract customers. However, what most people doesn’t know is that there are several types of jewelry display and each of them are used in different manners. That’s why for today’s article we’re going to name several types of jewelry displays and tips on how to properly optimize them in your jewelry shop. 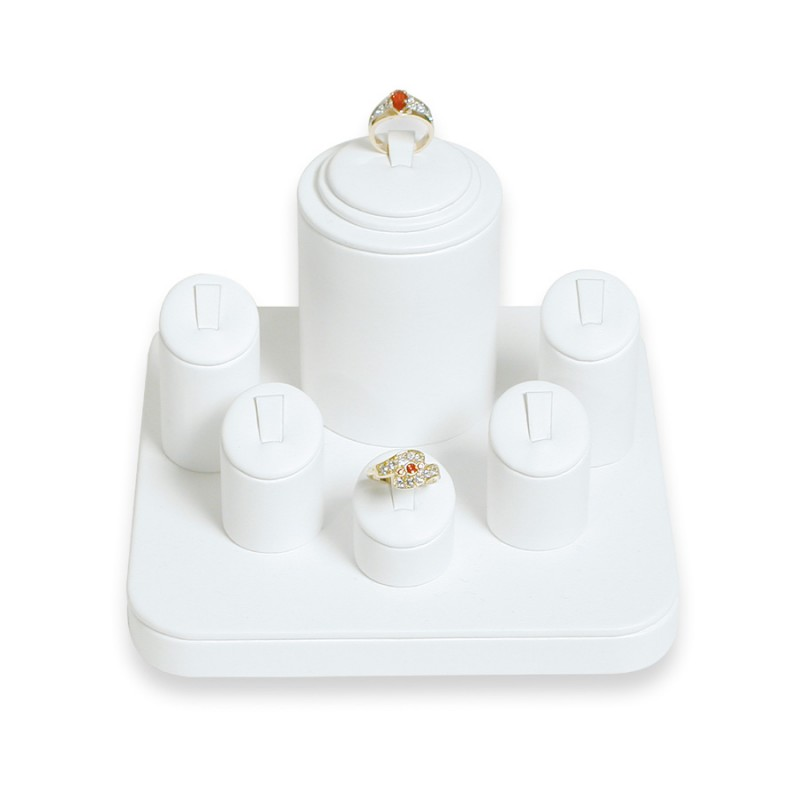 Mini Set Display are perfect for jewelry shop who wants to used displays that won’t take too much space yet will be able to display many jewelry as possible. Some mini set display can even have 23 pieces or more. 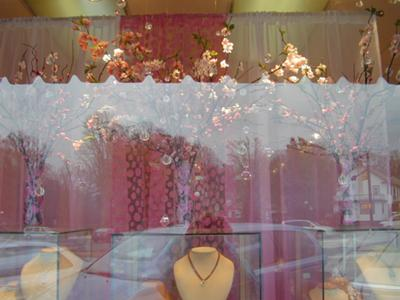 It’s a nice choice of display for owners who want to minimize the space they have on their jewelry retail store. Unlike mini set display, Set Collections needs a lot of space to put up. But the best thing about them is that you can put several jewelry collection in one since it has a lot of slots to display several pieces. From earrings, necklaces and bracelets, set collections have different slots for them. Plus, it comes in different styles and designs to choose from. Platform jewelry displays are for jewelry shops that wants a simple yet elegant displays. It is a classic display that gives a sophisticated look. Plus, with its simple look, it can let the jewelry stand out. Platform displays works well when displaying necklaces and bracelets. 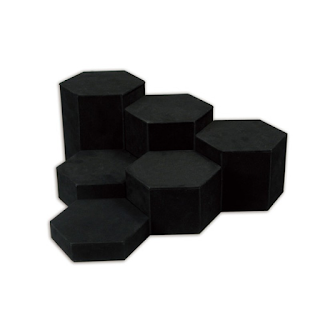 Risers are probably the opposite of platforms since they possessed a modern and minimalistic design that are very popular with jewelry shop nowadays. They work well with displaying rings and earrings due to their size. But there are also several risers made for displaying bracelets and necklaces. For jewelry shops with a modern look, risers are the perfect jewelry display to use. 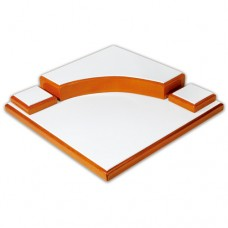 Display pads are made ideally for small or single collection jewelry. It can easily be placed anywhere along with other display set. Most display pads are used during tradeshow events since they can easily be carried around and put on display easily. 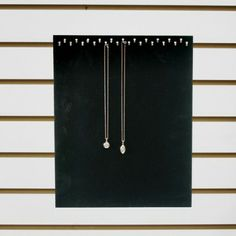 Slatwall displays, on the other hand, are jewelry displays that can be placed upon the wall where you can hang necklaces in the same collections. It’s for jewelry shops who wants to make use of the empty walls in their interior. Spring is here, which means it’s time to update your store’s jewelry collection and displays to celebrate this wonderful season. A change on your theme may also play a big role in attracting new customers that can turn into loyal buyers if given with the right impression. But thinking of a different spring concept each year is hard, that’s why here are 5 tips to pull out the perfect spring theme display. ● Put up flora and fauna displays on your window. Spring is all about flowers and colors, and what best way to represent this than to decorate your store windows with lovely elements that reminds you of the wonderful season of spring. Bright colors cut-outs of flowers, leaves and anything associated with nature and rebirth will do a marvelous job in reflecting the color of nature. ● Paper twine mannequin displays to use. Paper twine mannequin displays are the perfect ones to use this season. Since its spring, Paper Twine Display possessed the marvelous brown hue that represents the color of the Earth. 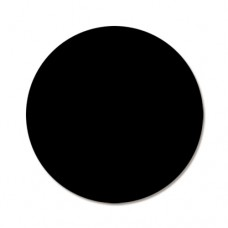 NileCorp.com features the same product which is paper sculpted and wrapped by woven natural fiber. ● Frosted color bust necklace displays. Spring has all the wonderful colors that celebrate rebirth. Embody these colors by using these frosted color bust and earring necklace displays from NileCorp. It comes with colors such as blue, pink, green, yellow and clear white. These colorful bust displays are sure to catch the attention of your customers. ● Don’t be afraid to decorate your display tables. Another thing that makes spring the best season to do decorations is that you can have fun in putting different elements on your jewelry display tables. This means you can put on decorative flowers, ribbons, or even garlands to give a wonderful touch of spring in your display tables. ● Pick a colorful jewelry bag for your package. Lastly, to add the final touch of spring in your jewelry store, pull off the old shopping bags and change them into fun printed packages designed with the colors and shapes of spring. If you don’t have a budget to change your packaging, then you can opt to decorate a simple brown paper bag and decorate it with faux flowers. Cleaning your jewelry is a task you should occasionally do to keep your jewelry collection clean, so that they can maintain their luster. However, one of the hardest jewelry to clean are earrings considered that some comes in small sizes. That’s why we decided to create these 5 simple tips you can use to clean those earrings in your collection. 1. Prepare the cleaning solution. Preparing a simple cleaning solution for your earrings is easy. All you need to do is to mix mild dish soap or baby shampoo and mix it with water in a bowl. You can also prepare another bowl with water that you’ll use in rinsing your earrings. Prepare your earrings and get a clean cloth to use in the process. Also remember not to clean your earrings near the sink just in case you might drop one during the process. To thoroughly clean the earrings, you open the clasps and remove the screw from post earrings. 3. Proceed to getting your earrings cleaned. By damping the clean cloth to the cleaning solution you had just made, gently rub each part of your earrings. You can also dip the earrings on the soap mixture then rinse the earrings in water afterwards. To clean the earrings thoroughly, you can scrub it with toothbrush then rinse it with water again. 4. Take extra care of earrings that have gem. For earrings with organic gems or quartz, you need to clean them with extra care and use as little mild soap as possible in your cleaning solution. You should remember that these organic gems can easily be affected with chemicals from lotions, perfume and make-up. 5. Dry the jewelry and store them. After rinsing the earrings with water, rub them with a dry cloth and lay them on a towel to dry. 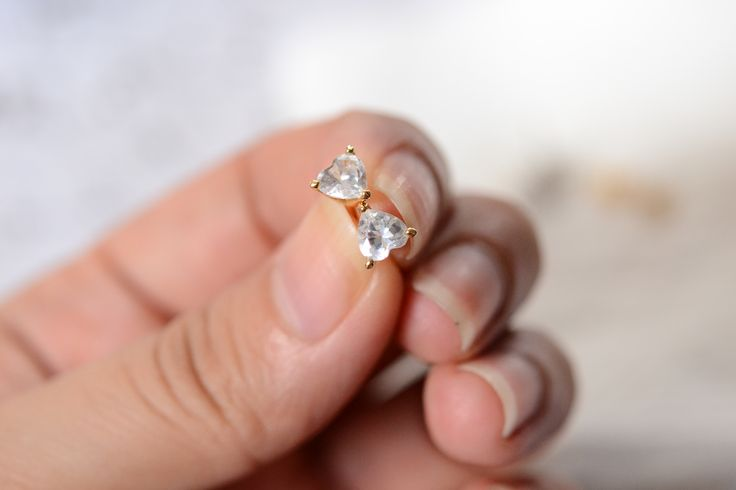 If there are any water spots that remained in the earring, you can easily remove them with a soft cloth. Once they are all dry, carefully store them in your earring display or jewelry box.